$2.75 Digital Thermometers + 10% Off or Free Shipping! 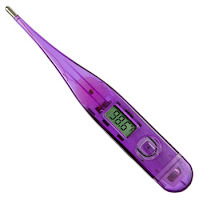 Head over to Totsy and you can score digital thermometers for only $2.75! There is a nice variety of bright colors to choose from. You can use the code COUPONCABIN to save 10% on your entire order.